Could you share with us a little bit about your journey? Could you share with us maybe one to three top tips that has really helped you to choose the right people for these organizations that you recruit for and why do you think it’s important to be consistent in these attitudes or behaviors that you look for in these individuals? In an online business when you’re not having that interaction with someone face to face. What are some of the tools or things that you need to do differently in an online space when you’re not seeing the person? We have a lot of listeners who are business owners and managers who feel they have great products and services, but for some reason they lack the constantly motivated human capital, the people. If you are sitting across the table from some of those persons, what’s the one piece of advice that you would give them to have a successful business? So sure, enough and before for his first hire, he posted a job on Facebook and this guy applied and he barely interviewed him and he hired him and it worked out great and he’s his business partner today, amazing hire hard worker, learned quickly. So, there he was thinking that hiring was easy, that you post a job and someone shows up and your life gets easier and he proceeded to make bad hires after bad hires using a lot of the different platforms out there, the up works and the fivers and he just wanted something better and faster. So, three years ago he had the idea to launch his own marketplace FreeeUp where they vet applicants before they get on the platform, they only let the top 1% on, they make them available to clients whenever they need them, with a no turnover guarantee, if they quit for any reason, they cover replacement costs and get them a new person right away. So, that’s really the evolution of him working a summer job to go into college, starting his book business, started his Amazon business and then starting FreeeUp. Nathan stated that just to clarify, they’re not recruiting, it’s not like they tell them what they need, and they go find it. They’re building a network of virtual assistants, freelancers, agencies that are all the similar mold that they know will do a great job for their clients. And you’re right, that vetting is so important. He learned a long time ago that when you’ve vet someone just for skill, a lot of time it blows up in your face. You hire someone with a five-star review or 10 years of experience and two months later you’re like, “What happened? This was awful.”And so, what they realized is it’s a combination of all three, you’ve got skill, you’ve got attitude and you’ve got communication. So, when you’re dealing with skill, you don’t need everyone to be a 10 out of 10, they can be a five out of 10 or three out of 10, what you care about is that they’re honest about what they can and cannot do and they’re priced accordingly. On the attitude side, they do one on one interviews, they look for people who are passionate, they do don’t get aggressive the second that something doesn’t go their way, people who can take feedback and handle it professionally. And then on the communication, obviously you want someone that speaks your language on a high level, but it’s so much more than that, it’s being able to get on the same page quickly and hitting deadlines and being able to respond within a business day and use whatever clients communication method that they care about. So, they really looked for that trifecta and it’s very rare that you hire someone that has all three of those and then down the line, you’re like, “Wow, that was a bad hire.” Usually if you get all three, it turns out pretty well and he only hires from his own platform, his internal team is all virtual assistants, freelancers that got through their vetting process, the same people that are available to his clients. Nathan stated that motivation for him, it’s funny, with his Amazon business he kind of grew up in a place where his dad taught in the high school next to him. And he lived in East Longmeadow and his dad was in Longmeadow, so, he went to high school in Longmeadow and all those kids, their parents were doctors, lawyers, dentists, business owners and so money was always a motivation because he was never poor, but he was middle class and he was always hanging out with kids that had so much more than he did. So, at first, money was that motivator and as you get deeper in that entrepreneurship and the honeymoon period kind of ends as he calls it, you realize that money’s not everything and the Amazon business he lost passion for because of that reason, he wasn’t helping anyone, he was just helping himself and he was helping his manufacturers and maybe his team. And, with FreeeUp, what motivates him is he gets to help business owners from all around the world achieve their dreams and scale their business. And on the flip side, freelancers who are also business owners, he gets to help them scale and provide for their family and do what they enjoy doing instead of having to get a nine to five job, so, for him, that’s motivating. He’s a hardworking person regardless, it’s tough to say like what is that thing that drives him, but he really found that within FreeeUp just the fact that he gets to help so many people on a day to day basis, that keeps him going. Even on days like today where he’s a little sick and he’s got three podcasts scheduled. Nathan shared that his mentality is you can’t compete with big businesses on everything, you can’t. There are always going to have bigger marketing budgets, bigger software budgets and all of that. But what you can always compete is customer service and that’s something that he’s always been passionate about and you can always compete with the big players on customer service, treating clients like gold and they kind of take the mentality that 99% of the freelancers do an amazing job on their platform. He spent very little time dealing with issues, but these are human, stuff happens, they’re startup, things just happen when you’re dealing with businesses, so, when things do happen, they jump in quickly, they don’t make excuses, they take responsibility and they just make it right and then they move forward and they built a lot of really great relationships that way. They have lots of clients that come in and have a great experience right from the beginning and that’s obviously what they shoot for but they’ve also had a client that came in and maybe that first hire didn’t turn out the way they want and they were so impressed by how they handled it and how they made it right quickly that now they are lifelong client and they got them someone else and now they love that person. So, for him, that mentality that the customer isn’t necessarily always right, but it’s in your best interest to make the customer happy at the end of the day, if you have that mentality, you can go a long way no matter what business you’re in. Yanique shared – I’m glad you brought up the point that the customer is always right because the statement itself is really incorrect as I’m sure you would have figured out because customers are not always right, we are human beings and we do make mistakes. However, one of the things that we teach in customer service training is that as employees in an organization, it’s not our responsibility to prove the customer wrong. I love the saying, “The customer is always right,”and it’s a wonderful guided principle but I do think as business owners, managers, leaders, coaches in organizations, we have to get the employees to that understanding that it’s just a principle and a guideline because there are times when the customer is incorrect either in what they see, what they do, how they manage a particular process. But our responsibility isn’t to say, “Hey Mr. Customer, you are wrong.”It’s more to guide them to the correct way of how they are going to achieve success. 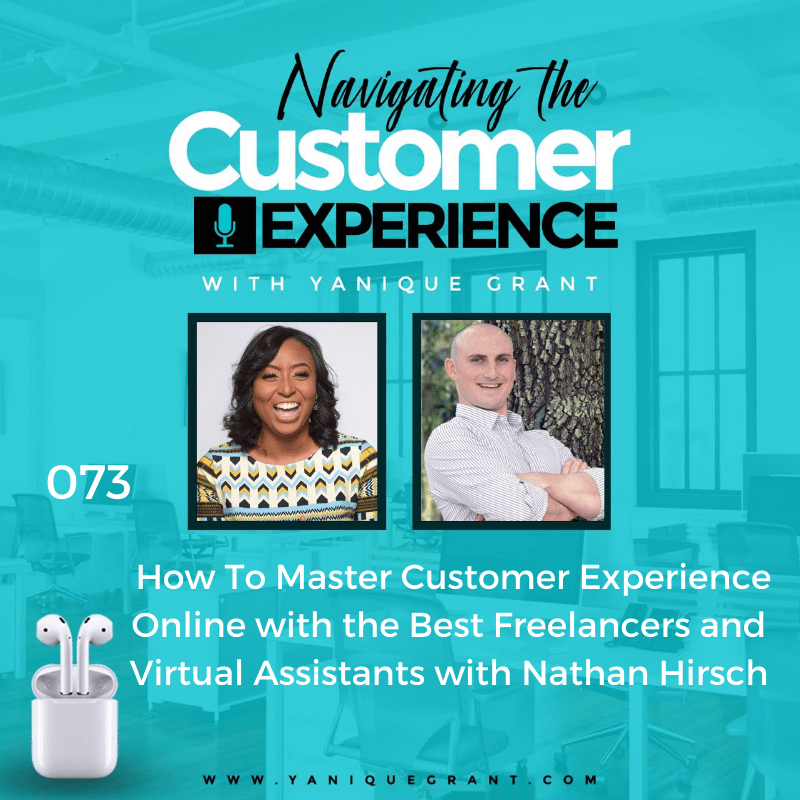 When asked about tips for having that interaction with persons in an online space, Nathan shared that it took him years to figure out how to work with people remote. It’s a totally different mindset. Some quick tips are using stuff like emojis to actually portray how you’re feeling on a day to day basis in different conversations because words get misinterpreted. People fire off emails, he’s guilty of that too and you don’t realize how that gets interpreted to people on the other end. So, anything you can do to actually relate to people, not losing the small talk and being able to express how you’re feeling and being directed and getting clarity all goes a long way. He likes to keep everything in writing and make it super clear, exactly how he’s feeling, what he likes, what he doesn’t like and that’s how he has been able to build relationships. And the other side of it is when he dealt with people remote for the first time, he asked them, “Hey, how can I communicate better? Tell me about your best clients and the relationships you had. How did they talk to you? How did they communicate? How did they build the team?” And he learned from that and he took that information and he feels like most people; they don’t go that extra mile to learn from the people that they’re working with or to learn a new situation like working with someone remote. Nathan shared that he uses Skypeevery day, using it now for a lot of podcasts. He slowly moved to Zoom for a bunch of them. He group chat with all his different teams, with freelancers and agencies that he uses. That’s how he communicates with his business partner. He does phone calls with clients. It’s such a great free tool and it just kind of goes to show that you don’t need the most expensive software in the world. He works with 40 people and thousands of freelancers and his business partner and he uses Skype to connect with all of them. He uses other programs like Trelloto keep track of projects, but his primary communication channel is Skype. Nathan shared that he loves the Jeff Bezos books, he loves the Zappos books. Delivering Happiness: A Path to Profits, Passion, and Purpose by Tony Hsiehbook is fantastic, but the book that really resonates with him is Start with Why: How Great Leaders Inspire Everyone to Take Action by Simon Sinek, the reasons he mentioned before where if you’re an entrepreneur, you’ve got to figure out why you do stuff, not just how you do it and how you make money. There has to be a purpose behind it, and if you don’t find that purpose, he doesn’t care how successful you are, he doesn’t care how good your business is, eventually you’re going to lose passion for it and you’re going to realize that you wish you did something that you cared about. So that book always resonates with him. Nathan stated that there’s never been a better time to start a business. And he would never say an easier time because starting a business is not easy. But if you go back 20 years, you needed $100,000.00 or more to start a business. Now you can do it from your laptop with a few thousand dollars. So yes, obviously capital gives you a big advantage but he started his Amazon business with a few thousand dollars, he started FreeeUp with $5,000 so we’re not talking huge amounts of money and there’s so many opportunities out there to make money online without making a big investment. So, he would get out of the mentality that you need a lot of capital and he would focus on learning skills that actually help you start a business with very little besides your laptop and some strong internet. Yanique stated – if they have people that work in their business that lack constant motivation, because you said what motivates you is you like what you’re doing, you love what you’re doing, that’s what gets you up going every day. What if they don’t know what they like or they’re doing it just because they need to collect a paycheck, they have to pay bills. How are we going to get them to be constantly motivated so the business can grow? Nathan shared that he’s in the mentality that you can’t change people, here and there you can, but it’s just not worth your effort on a big scale to go around trying to change people’s mentality. Not that you shouldn’t motivate people, you can meet with them, you can find out what does motivate them and that’s where being a good leader is. He thinks this is where he and his business partner were for years, they were on different pages because he would find someone that was weak at something and try to turn it into their strength. And for him, he was trying to find people, what people’s strengths were, and he was trying to get them to do that strength more, he wasn’t trying to change people and the same thing with motivation. He can only spend so much time trying to motivate other people, if he realizes they’re not motivated, he knows there’s tons of people out there that are, and he’d rather work with those types of people. So, he doesn’t have any quick fast hacks to make the light bulb go off it and motivate people, he can tell you that a lot of times it’s not just money, it has to do with your leadership style and sharing goals and making them feel a part of something. But at the end of the day, he doesn’t go around trying to change people or forcing people to do things and they don’t want to do. He surrounds himself with people that want to be where he is and want to work with him. Yanique reiterate – so then basically you’re saying in summary, as a business owner, you have to quickly realize if your time and effort is worth to be invested in this employee and if after trying for so many times it’s just not working, you’d probably need to channel that energy into someone else that would be able to yield you that success you’re looking for. Nathan agreed that it’s not just employees, it could be freelancers, it could be agencies that you hire and he has an agency that runs his Instagram every month and they’re running a business and if he can tell that they don’t care about his account or maybe they care about someone else’s more than his, then he’s going to find a different agency that will. So, it goes across the board that not just internal employees in your office, it could be virtual systems or freelancers that you’re one of 10 clients or agencies too. Nathan shared that he has been traveling, so let’s kind of back up. At the beginning of last year, he had been on a lot of podcasts and he really wanted to get into guest speaking and then by the end of last year he was pretty exhausted by getting into guest speaking. So here we are, that’s not for me. But he still enjoys talking with people, he still enjoys kind of having that stage. So, this year he’s actually launching his own podcast called the Outsourcing and Scaling. He’s recording, he has probably about 10 episodes recorded as we talk right now and that’ll be launching in the next week or so. So, it’s kind of a passion project of his, he’s not sure exactly the business ROI on it, although he thinks they’ll have some great guests and it’ll lead to great connections. But it’s something he has always wanted to do on some level, and he thinks podcasts is a perfect channel to do it. 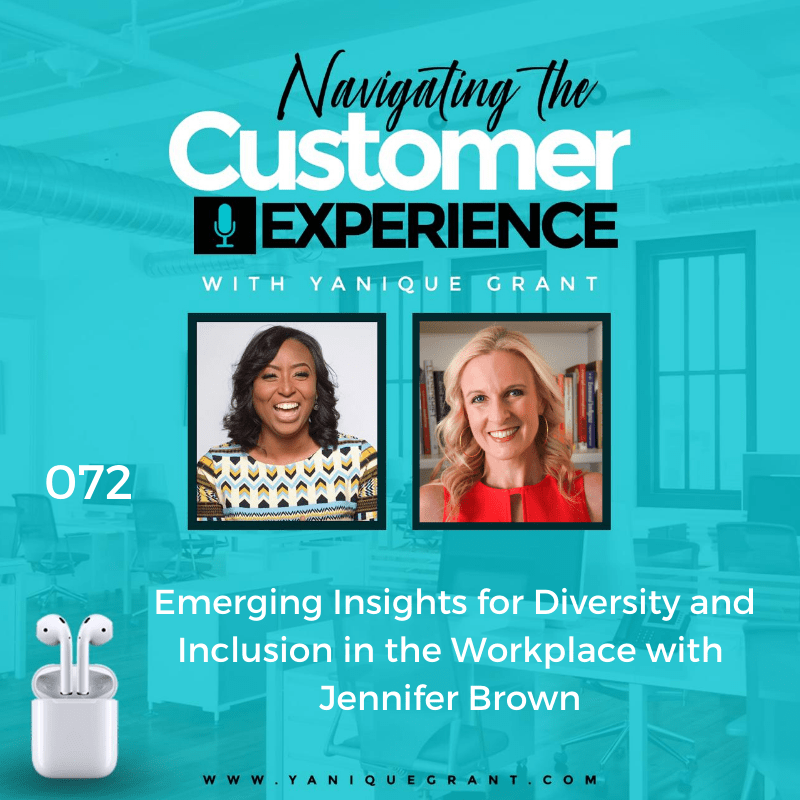 Yanique shared that now is a great time to be launching a podcast because so many people utilize this platform as an opportunity to learn and grow in different realms and genres and just different topics. You can consume this content while doing so many other things and it’s just an amazing time for you to break through into this area. So, I congratulate you and please share with us the podcast name, what platforms are you going to be available on so that at least we can, if when you’re launching or one once you’ve launched, our guests that are listening to this podcast can definitely head on over to those platforms and have a listen in on your podcast as well. Nathan shared that it’s called Outsourcing and Scaling, it’d be available on iTunes, You Tube, and a lot of other channels as well. It will be an audio Podcast and the video will be on You Tube. Nathan shared that when he was little, his mom always said, “Work hard, play hard.”So, he kind of take that in all parts of his life. When he’s playing sports, I’m going all out. When he’s hanging out with his friends or his girlfriend, he’s focused there. When he’s working, he’s going all out every single day and that’s kind of the mentality that he has taken.